Construction crews plan six days of partial lane closures in south county from 9 p.m. to 5 a.m. beginning Sunday night to accommodate ongoing road work, according to the San Diego Association of Governments. Caltrans crews will re-stripe northbound Interstate 805 and place concrete k-rail barriers along the freeway’s outside shoulder. 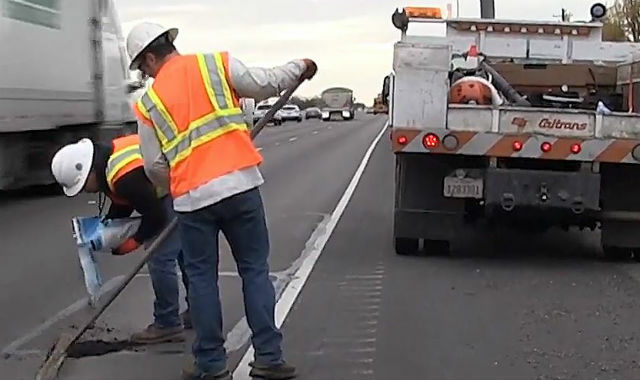 Crews will also place k-rail barriers along I-805’s connector ramps to state Route 54 and southbound I-805’s outside shoulder. Caltrans and SANDAG originally planned to complete the work March 12-13 and March 18-20 but postponed it to this week. Traffic on northbound I-805 will be affected through Friday at 5 a.m. between Bonita Road in Chula Vista and Route 54 in National City, according to SANDAG. The road work is part of the $42 million I-805 South Corridor Enhancement Project series, which is intended to improve freeway traffic flows between East Naples Street in Chula Vista and Route 54. Work crews plan to eventually make improvements to the Sweetwater River Bridge and finish the installation of sound wall segments along I-805 to quell noise pollution that affects residents living near the freeway.